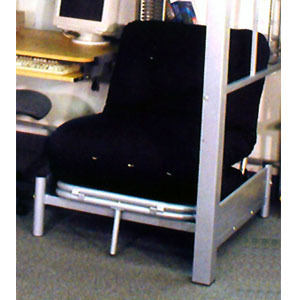 Tri-Fold Futon Chair In Silver Grey Finish. Opens To A Cot Size Bed (See Larger Picture). Easy To Assemble. Strong Construction. Mattress Is Not Included In The Price (Sold Separately). Available in Black or Silver. Size: Approx. 78.2 In. long x 32 In. wide.